Editor Note: This technique was created by our friend Ramesh Srinivasan from the winhelponline tech blog. 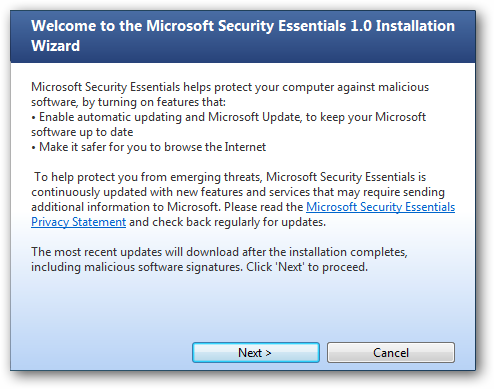 If you haven’t done so already, download and install Microsoft Security Essentials (link below), which has earned the How-To Geek official endorsement. 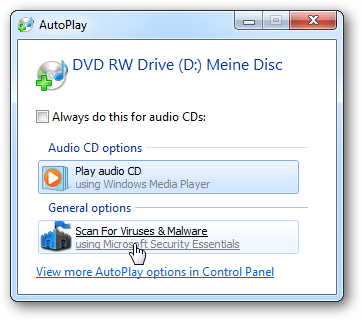 Next download the mseautoplay.zip (link below). Unzip the file to view its contents. 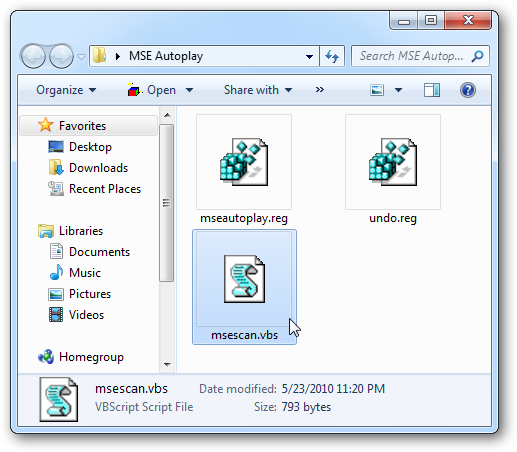 Then move the msescan.vbs script file into the Windows directory. Click Yes to the warning dialog window asking if you’re sure you want to add to the registry. After it’s added you’ll get a confirmation message…click OK.
Now when you pop in a thumb drive, when AutoPlay comes up you will have the options to scan it with MSE first. 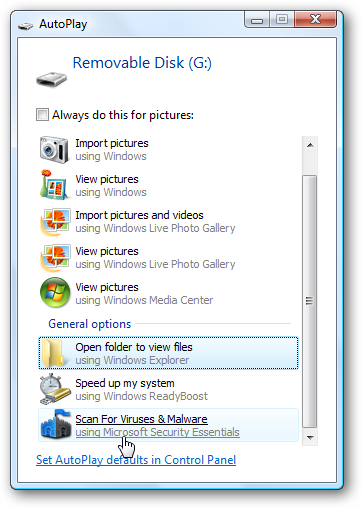 You can use this to scan any removable media. 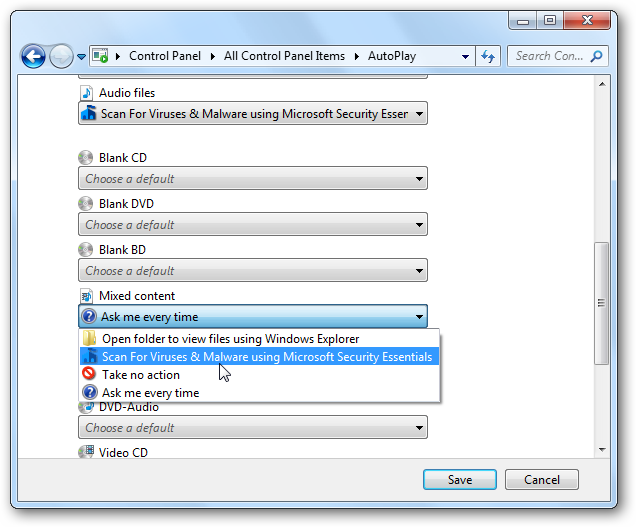 Here is an example of the ability to scan a DVD with MSE before opening any files. You can also go into Control Panel and set it as a default option of AutoPlay. 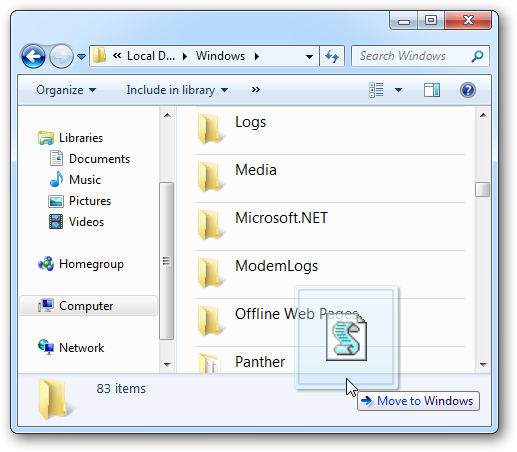 Open Control Panel, View by Large icons, and click on AutoPlay. Notice that now when you go to change the default options for different types of media, Scanning with MSE is now included in the dropdown lists. 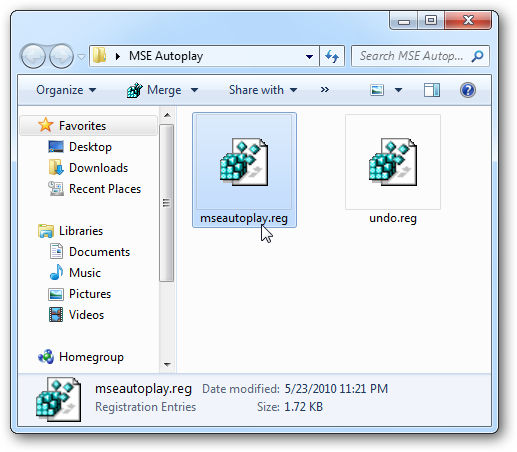 If you want to remove the MSE AutoPlay Handler, Ramesh was kind enough to create an undo registry file. 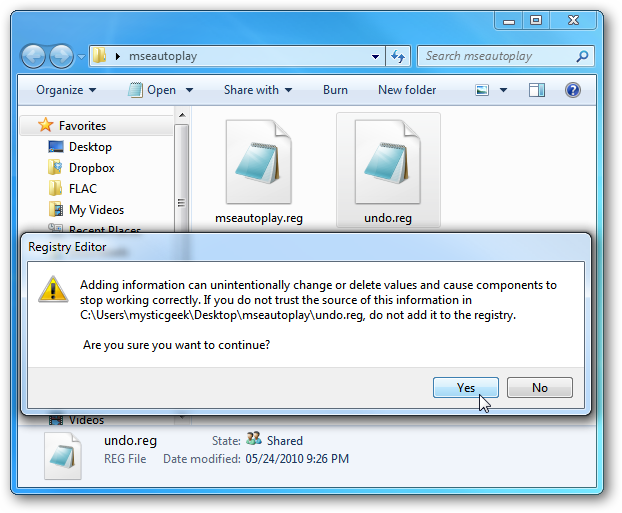 Double-click on undo.reg from the original MSE AutoPlay folder and click yes to the message to remove the setting. 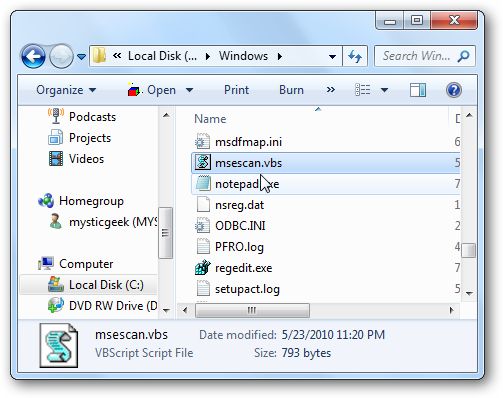 Then you will need to go into the Windows directory and manually delete the msescan.vbs script file. 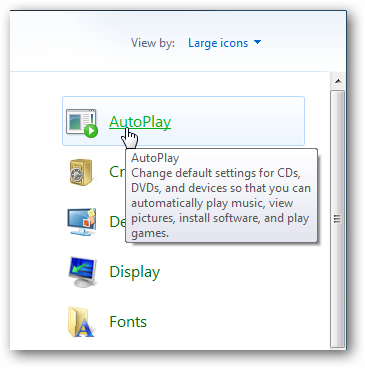 This is an awesome trick which will allow you to scan your thumb drives and other removable media from the AutoPlay dialog. 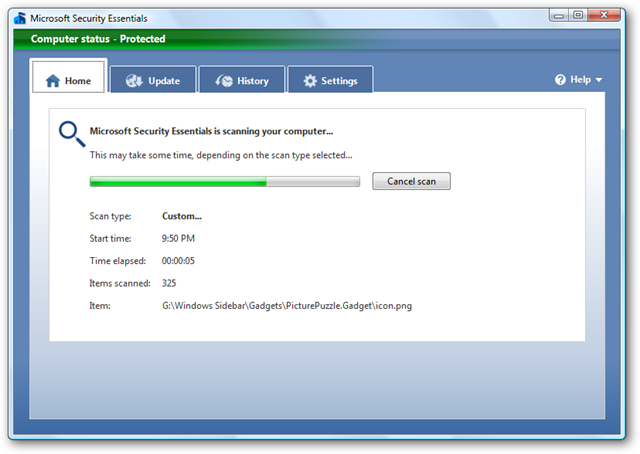 We tested it out on XP, Vista, and Windows 7 and it works perfectly on each one.